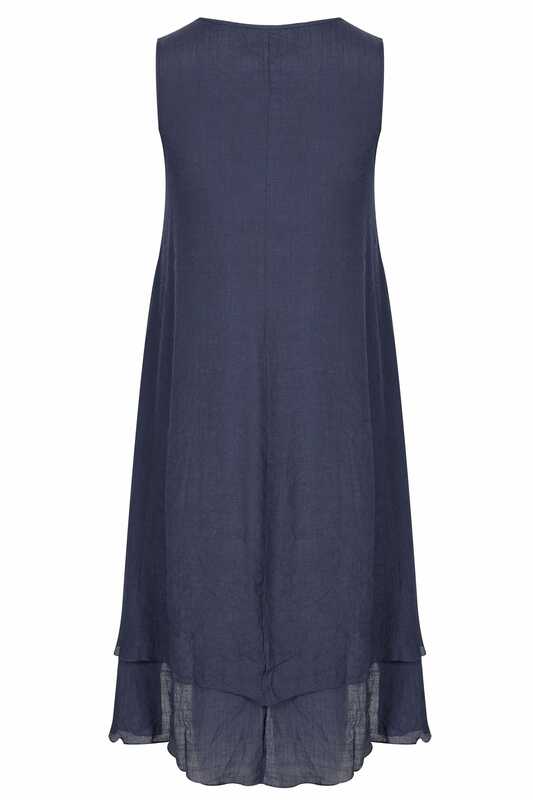 Back length from (approx): 120cm/47.2"
Channel effortless chic in this woven navy dress from Izabel Curve. 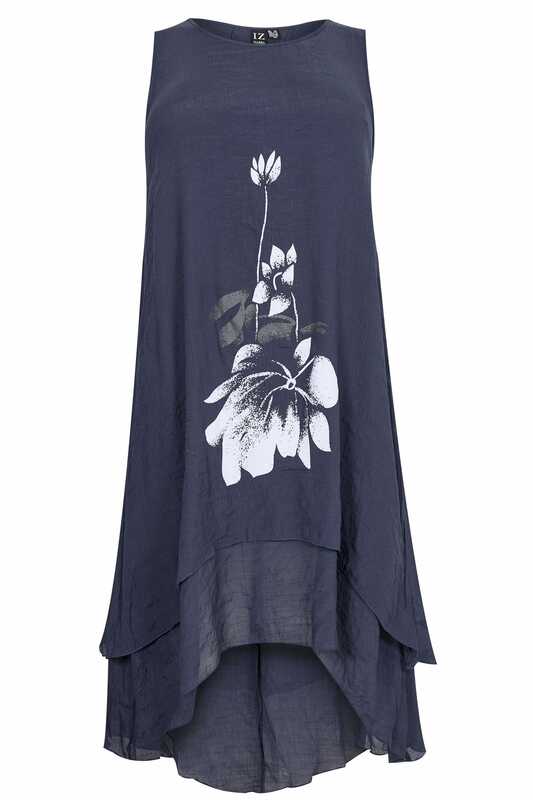 In a cool and lightweight fabric, it offers a floral print to the front and a stylish dipped hem. Just add a pair of sandals and you've got a weekend-ready look. It's the perfect option for those warm sunny days.